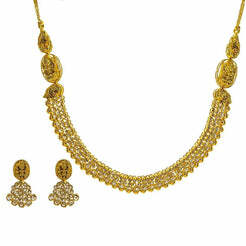 8.74CT VVS Diamond Necklace & Earring Set in 18K Gold W/ Floral Accent Design for women. 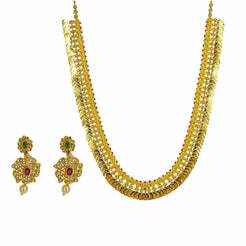 Necklace is accompanied with matching earrings. 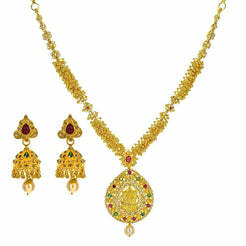 The necklace and earrings have an interchangeable feature where ruby and emerald can replace the diamond pendant. Gold weight is 67.3 grams. Perfect bridal piece.